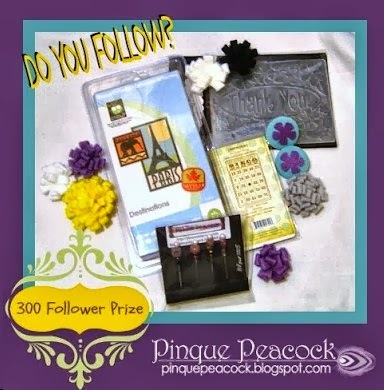 Pinque Peacock is having a 300 follower giveaway. Go check it out now!! They are super close to 300. How has your week been?? My week has been great! First week back after winter break and the kids and I were kept pretty busy. My daughter and her school dance team had their first half time performance at the middle school basketball games this week. They did a fantastic job! It was so fun to watch them. They did two dances during each half time (boys game and girls game). We had lots of homework, dance practices, lacrosse practices and school meetings. I got a Fitbit flex for Christmas and started wearing it and tracking my walking and sleeping this week. That has been kind of fun to do. I've been trying to up the number of steps each day and have been succeeding. The kids have started going walking with me in the evenings. Never hurts to try to get a bit healthier right? I have a layout to share. I have to confess that I was inspired to create it after seeing the GORGEOUS layout Fairies Are Handmade by God by Adri du Preez over at Scrap365. I hope she doesn't mind the scraplift!! 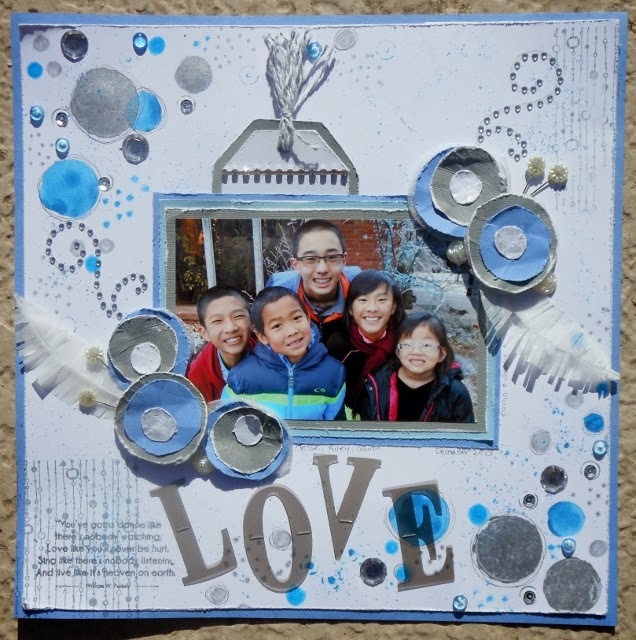 I made this for the newest challenge at Sketches4all - The Winter Wonderland Challenge. It started today and lasts until January 31st. There will be a great prize for the winner. The challenge is an anything goes challenge as long as you follow a "winter wonderland theme" and use this photo for color inspiration. I really had fun putting this layout together. I used Distress Stains in Salty Ocean and Brushed Pewter for my circles and splatters. I stamped out a quote from William W. Purkey using a stamp from the Crafter's Companion Sentimentals - Friends and Family stamp set. 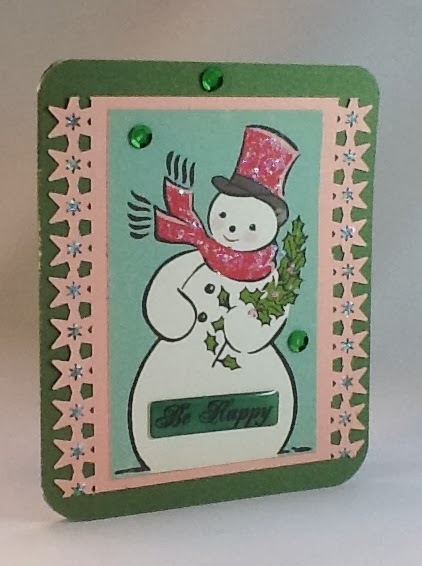 I stamped it with VersaMark in and sprinkled on some silver embossing powder and then heat set it. The photo is of my kids at their Grandpa and Grandma's house in December. I drug them outside in the freezing cold (notice the ice on the tree behind them) to have a "photo shoot". They didn't mind. They are always happy to go outside. I'm happy with how this turned out. What do you think? Have you been motivated lately to scrap?? Thanks for coming by and check me out. Until next time...happy scrapping! I'm back from Oklahoma and ready to start scrapping! We really had a nice Christmas break visiting with friends and family in Oklahoma. The drive there and home was uneventful (best kind of trip!). Weather was a little dicey for a few days in OK with an ice storm but the ice eventually melted and then it was just cold. The kids got all the presents they asked for and were happy with Santa. And I was happy to get a few scrappy goodies myself. And I can't wait to get them unpacked and start playing! To break the ice so to speak, I made a couple of cards for a couple of challenges at Sketches4all. The first one is for Cheryl's Valentines Day Challenge. I used some older papers from my stash and a piece of red card stock that was sitting on my scrap desk. I found a packet of doilies and distressed one of them. 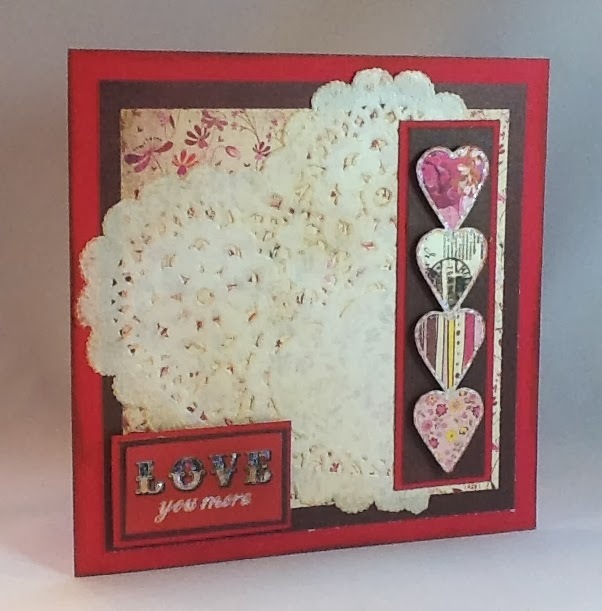 The hearts are fussy cut from one of the patterned papers and popped up with pop dots to give some dimension. And I had to add a bit of Stickles for sparkle. I added some sequins that were also on my desk (see a theme here?! LMAO). I finished with a sentiment sticker and some crystal stickles. I guess the reality is that I was cleaning off my scrap desk. I made of pile of stuff that needed to be used and then I used them! ha My desk looks much better and now I can make a layout! 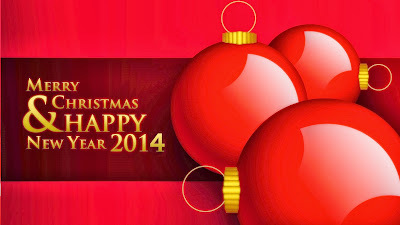 I hope you had a nice holiday and are ready to have a fantastic 2014! I love my scrappy friends and I appreciate all the friendship and inspiration you have given me. Thanks so much for stopping by and visiting. Until next time...happy scrapping!